Wonderful custom built lake front home offering stunning panoramic views of Lake Ontario and Toronto skyline. Offering over 6000 sq ft of total finished living space this home is not to be missed. Walk through the front door into an open and airy 2 storey foyer with custom open to above and below oak staircase featuring open risers. Gaze across the dining room through the floor to ceiling windows and take in the beautiful views of the lake apparent in all rooms of the house. The main level features an office as well as large open concept living areas from the kitchen/family room with sealed wood burning fireplace and vaulted ceilings, to the living room and dining room with 3 sided gas fireplace and vaulted ceilings. The interior of the home also features an abundance of windows and skylights throughout, giving the home great natural light. 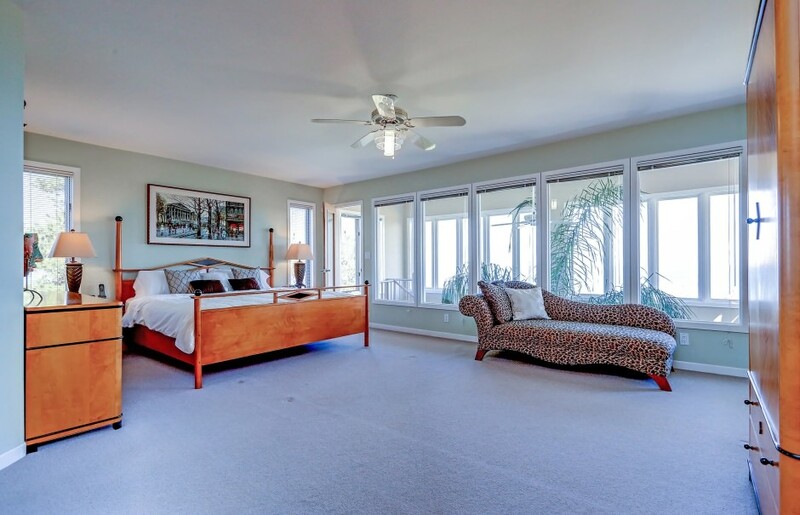 The Second Level of the home offers three generously sized bedrooms. The master bedroom features a large walk-in closet and six piece ensuite as well as a spiral staircase down to the main level kitchen/family room area. 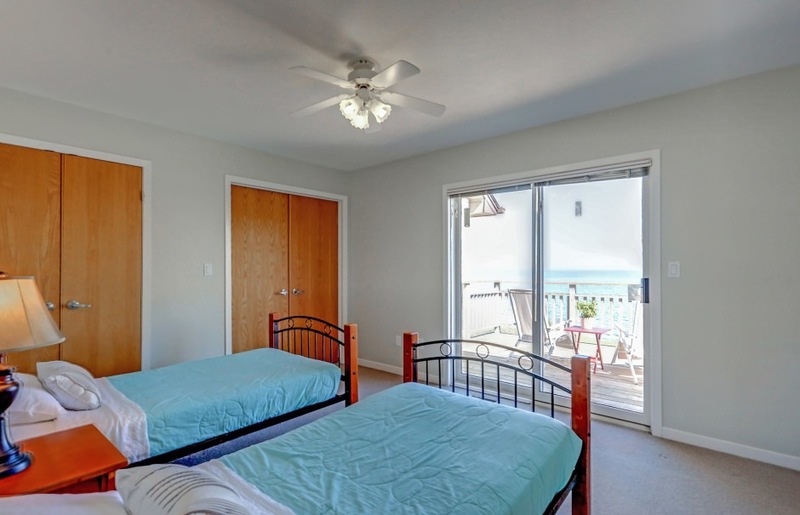 Bedroom two features a wet bar area and has private access to a large balcony overlooking the lake. Bedroom three offers shared access to the main 4 piece bath. The upper level of the home also features a separate loft area above the garage. The perfect set up for a in-law or nanny suite. The loft features a private bath and has a rough in for a kitchennete or private laundry. 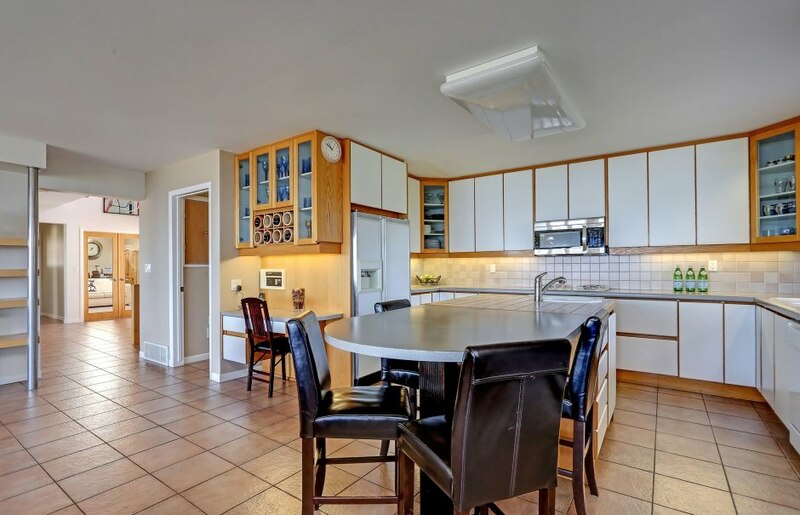 The lower level of the home features a very large and spacious recreation/games room, as well as 2 additional bedrooms, a gym, a sauna, 3 piece bath and a separate staircase leading to the over sized 3 car garage. The exterior of the home features a large circular drive with parking for 6 or more cars. New Roof (approx 2 years), a large backyard with unprecedented panoramic views and large wood deck. This property also comes with Full Ripiraian Rights which is the truest form of lakefront ownership. Great opportunity to live on the water at a fraction of the price compared to Oakville and Burlington waterfront prices and still be less than 30 min away. Easy access to QEW.